“People who love to eat are always the best people,” said the celebrated Julia Child. Child knew that dining with a group of total strangers is a bonding experience, even among those who don’t speak the same language. Sit around a table with newfound friends at food festivals anywhere in the world, and you’ll likely heartily concur. After all, food is the universal language of humankind. In Europe, however, where so many countries share a common continent, food festivals provide an incredible bouillabaisse of regional cuisines in a relatively small area. And there’s also that genetic component. If one’s ancestors emigrated from Europe, you’d likely find foods served at childhood family meals at these festivals. They’re events that bring you back for seconds and thirds. This year, as we have for the last several, we’ve put together a list of the best food festivals in Europe. Although many of these festivals are multi-faceted (some include music aspects, for example), to be included on the list the festival’s primary focus must be food. We haven’t covered wine festivals or beer fests, although there is a multitude of them, or food festivals that have denigrated into massive food fights, such as La Tomatina in Valencia. This list is not all-inclusive since there is a multitude of smaller festivals scattered all over Europe. There are just too many to include here. As we’ve noted in past years, all of these are worthy of gourmet grazing. And if you can’t attend a festival, visit some of the great food halls you’ll also find throughout Europe. 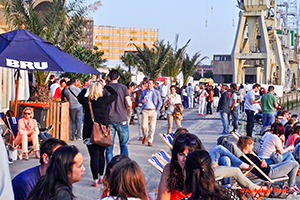 Now in its 13th year, Antwerpen Proeft is said to be Belgium’s largest and leading food festival. Entry is €8, which includes a welcome drink and discount voucher. 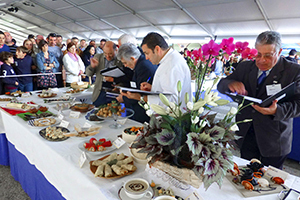 Last year tens of thousands of people attended this popular culinary event. 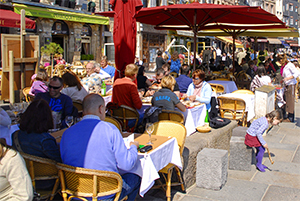 More than 25 restaurants and caterers from in and around the city offer an astonishingly diverse range of cuisines ranging from traditional Belgian to Mediterranean and French. Head to Oostduinkerke on the Flemish coast of Belgium for a festival that heralds the fishermen who ride into the sea on their horses to trawl for shrimp. This way of shrimp fishing is so unique UNESCO recently added it to its world list of Intangible Cultural Heritage. At the Shrimpfest, held the last weekend of June every year, the catch is brought to shore where it’s cooked in any number of ways. Activities include a Shrimp Parade on Sunday afternoon. Bruges has long been known not only for its beauty but also its cuisine. With 12 Michelin-starred restaurants, little Bruges is a Mecca for gourmets. 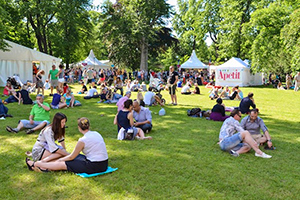 Last year Kookeet attracted more than 100,000 visitors. This year 31 of the city’s top chefs will introduce you to some highly diverse gastronomic gems. According to the organizers, they all possess one or more Michelin stars, a Bib Gourmand mention or a have high GaultMillau score. 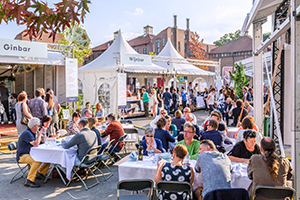 To celebrate the culinary culture of Copenhagen and Denmark, the Danes have launched one of the biggest food festivals in Northern Europe. During it chefs from leading restaurants pay homage to the country’s Nordic food culture. 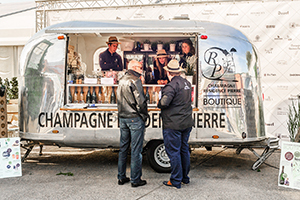 It includes more than100 unique events ranging from intimate dinners with Danish chefs to huge food events for thousands. Last year’s 80,000 visitors found cooking workshops, wine tastings, and markets taking place around the city. 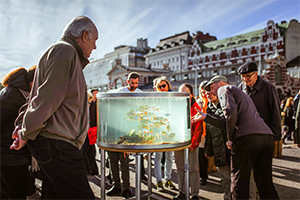 Every October fishermen bring their small boats to the wharf at Helsinki’s Market Square to sell their catch. All about the square you’ll find plenty of herring prepared in a variety of ways, as well as other Finn foodstuffs. The fair activities include a competition for the best herring dish and a race of traditional sailing ships. Although a bit of a niche festival, Silakkamarkkinat is an ancient tradition in Helsinki that has been held every year since 1743. 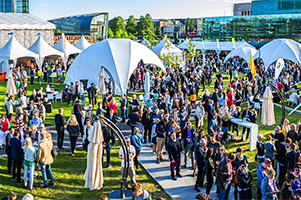 Taste of Helsinki, the largest gourmet food and wine festival in the country, adds something unique to food festivals. At this festival, in addition to other events 12 of the best restaurants in the city, including three Michelin-starred establishments, prepare a picnic lunch for you. There’s plenty of wine, champagne, and beer to go along with it. 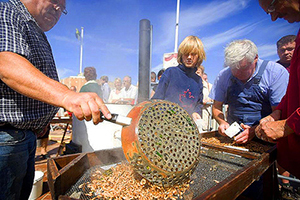 Held annually in one of the prettiest old ports in Normandy, Honfleur’s Shrimp Festival attracts thousands who come to town for the great shrimp-peeling competition. There are also concerts, an arts and crafts market, and plenty of sea shanties as old sea vessels gather in the port. In addition to crevettes and other seafood, on the festival menu you’ll also find cheeses, meats, pastries and bread as well as plenty of Calvados and cider. If you’re looking for a small-town festival with a food connection, on the last weekend in July visit the Brittany town of Gourin for its annual Crêpe Festival. Now in its 26th year, here you can feast on crêpes as well as galettes, the region’s famous buckwheat pancakes, and watch the contest to cook the world’s biggest crepe. There’s plenty of music and dancing in traditional costumes, as you might expect. 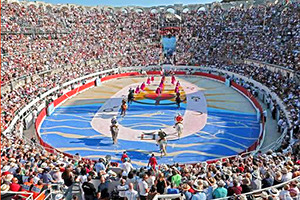 During this two-day celebration, the old Roman city of Arles adopts a decidedly Spanish flavor with the running of the bulls through its streets and bullfights in the old Roman arena. There’s also plenty of seafood paella cooked in huge pans as well as churros and tapas for sale. The festival celebrates the harvest of the region’s distinctive red Carmargue rice with parades, music and men galloping about on local Camargue horses. 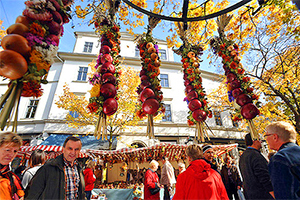 Munich may have its Oktoberfest but Weimar, a small town southwest of Leipzig, has an onion market that is 150+ years older, dating back to 1653. It’s a huge market with more than 500 stalls selling everything and anything having to do with the popular bulb. 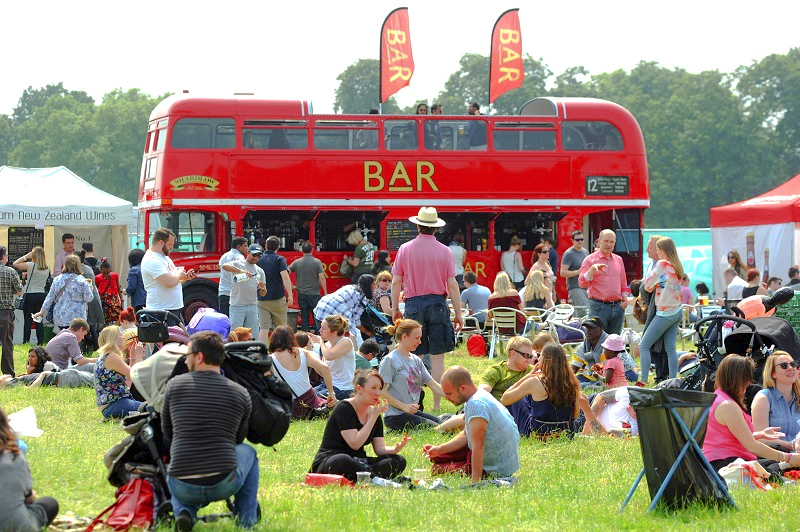 The festival attracts approximately 300,000 visitors each year. There’s plenty of other foods (sausages, spiced Lebkuchen cakes) and drink too, along with entertainment through the city. There’s also a contest to choose the “Queen of the Onion”. 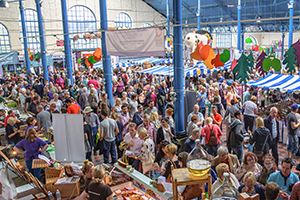 With 200 exhibitors from Wales and England coming together product tastings, kids’ activities, master classes, and hands-on cookery lessons, Abergavenny has become one the highest profile food events in Britain. 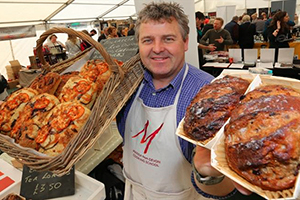 Visit the five festival sites about town and try everything from Welsh onion bread to Herefordshire cider. It attracts nearly 30,000 visitors and has been the winner of “Best Event in Wales” in the National Tourism Awards. Entrance fee: approx. $13 / €10 Saturday only, $20 / €16 weekend. 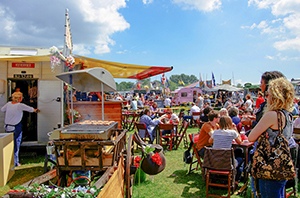 The Foodies Festival, the UK’s largest celebration of food and drink, now celebrates its eigth consecutive year. The Brighton event includes Michelin starred chefs, Great British Menu Winners, MasterChef Champions and top local chefs cooking their signature recipes. This year’s events include DIY Tea Blends; prosecco & parmesan tasting; beer and chocolate tasting as well as cocktail & botanicals masterclasses. 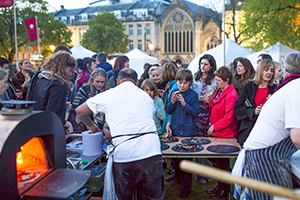 This 7-day food festival takes place throughout the city of Bristol. The theme of this year’s festival is “time.” As part of the festival there will be opportunities to enjoy meal times and special times, celebrate past times and explore our food future. The festival endeavors to delve into the traditions of how we eat, think about how time affects our eating patterns and investigate what role feasting has in our culture. 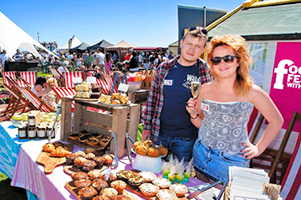 Now in its 14th year, the Exeter Food & Drink Festival celebrate the food and drink of Exeter and southwest England. 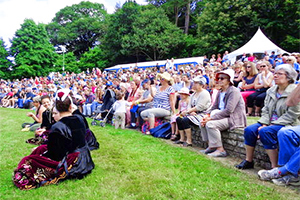 It is held in the courtyard of Exeter Castle and the surrounding Northernhay Gardens, right in the center of Exeter. 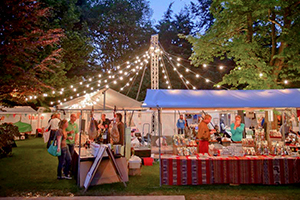 The Festival also includes two “Festival After Dark Events” featuring live music and chef demonstrations. This wide-ranging festival brings together producers from Cheshire, as well as around Britain. 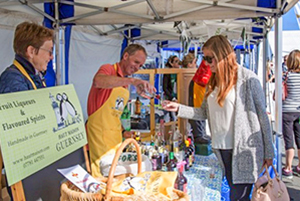 Set in two main venues and smaller ones scattered about the town, it has tastings of beer and wine, sausages and vinegar, foraging walks, cookery demonstrations, jam judging, even a cocktail workshop. There is also a wide variety of street food stalls. Guernsey, the largest of the British Channel Islands right off the coast of Normandy, is the venue for the International Food Festival. As might be expected it mainly features local products, especially those provided by the island’s namesake Guernsey cow, so be prepared for plenty of creamy milk, butter and ice cream. The island also boasts some of the freshest seafood in the UK. This festival, about 3 hours by car southeast of Budapest, celebrates the paprika-spiked Hungarian Csabai sausage. The highlight of it is the sausage-making contest in which about 500 teams compete. There are also traditional pig-feast meals, a stuffed cabbage-making competition, folk music and a wine festival. It’s attracted about 10,000 visitors in recent years. 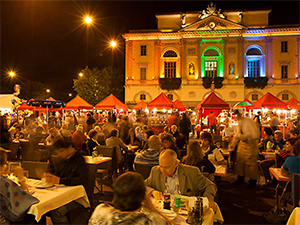 If you enjoy Hungarian gastronomy, this is the festival for you. According to the organizers, almost the entire list of the top chefs in Hungary will be at the festival, including those from the countryside as well as super-stars from Budapest, the World’s Best Female Chef in 2017, Poland’s first Michelin star chef, and a pastry chef from the Food Network. The aim of the festival is to allow people to sample all of the country’s best restaurants in one place. 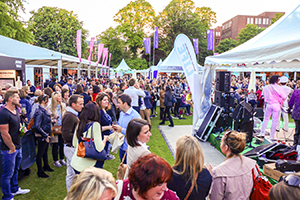 Held in Dublin’s stunning Iveagh Gardens, Taste of Dublin brings together the top chefs of Dublin and Ireland. Over four days the city’s greatest and hottest restaurants will fashioned together exquisite signature dishes There are afternoon and evening sessions, each lasting between 4-5 hours (depending on the day) allowing time for visitors to enjoy their picks of restaurant dishes, browse the artisan stalls and enjoy some of the many attractions. Tickets are sold separately for each session. The Irish know how to party, and they throw one of the largest in Galway every September. It’s said to be the most internationally recognized Irish festival after St Patrick’s Day. It’s also the world’s longest running Oyster Festival You can down countless pints of Guinness and beer while consuming copious amounts of oysters and other seafood. 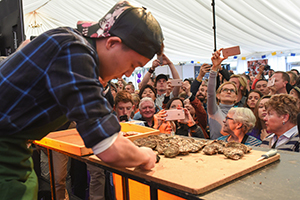 It all kicks off on Friday evening with the World Oyster Opening Championship and music and parties throughout the weekend. 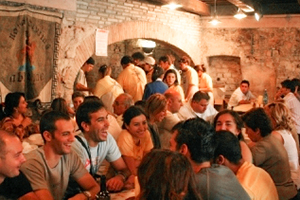 This festival takes place in the Perugian town of Foligno and is the first and only National Festival of First Courses….pasta, rice, soups, gnocchi, and polenta. 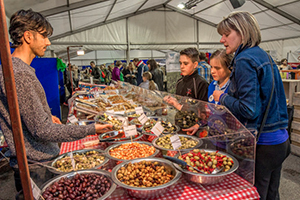 It’s a lively festival that includes tastings, demonstrations, master classes and even the creation of traditional medieval foods for sampling. It also embraces some quirky food events such as pasta sculpture and food clips from classic movies. 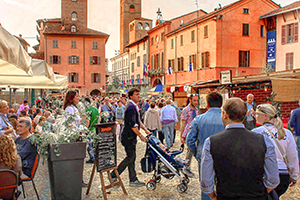 Alba is a small Piedmontese town that comes alive every October for the Truffle Fair. It’s an important event for which some of the world’s most famous chefs fly in for the annual truffle auction. The auction is an invitation-only event where the exotic truffles can go for more than $1,200 a pound. Beyond the auction, it’s a festival that showcases the foods of Piedmont including roast pork, salami, polenta, etc. Mangia! 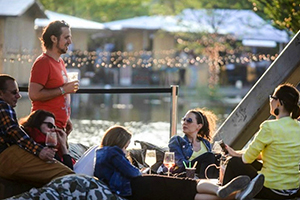 For one long weekend, every year in Amsterdam dozens of gourmet-food trucks roll into the city’s Westergasfabriek park (in western Amsterdam) and turn it into an enormous open-air restaurant. You’ll find quite a variety of food, everything from Indian cuisine, American barbecue, and fresh Italian pizza to sophisticated seafood and Dutch delicacies. Add music, dancing and rides for the kids and the whole event takes on the atmosphere of a county fair. 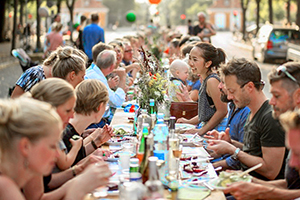 For four days in early June in Amsterdam there will be plenty of eating and drinking (along with entertainment) as 24 restaurants offer more than 100 delicious dishes to let you create your own dream tasting menu. There are also tastings, demonstrations and master classes. 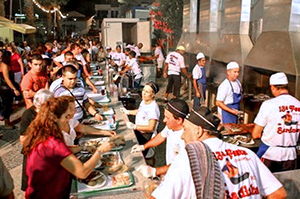 If you love sardines Portimão’s Sardine Festival on the Algarve may be your nirvana. Here you’ll find countless sardines charcoal-grilled and dusted with sea salt with sides of potatoes, perfect to down with a cool, crisp vinho verde. While competitive eaters can enter the festival’s sardine-eating contest, everyone can enjoy the music when the festivities morph into a music concert at 10 pm. O Grove is a Spanish town in Galicia, on the Atlantic coast near the Portuguese border. It’s not a big town but every October it hosts one of Europe’s largest food festivals dedicated to seafood (including shrimp, crabs, clams, scallops, even barnacles) and chefs compete to come up with an innovative mussel dish. It’s all infused with a lot of dancing and folk music. It claims to have the best seafood in Europe and annually attracts more than 200,000 visitors over the 10-day period. 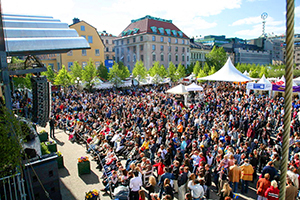 The Swedes bid farewell to spring at the beginning of June when they host the Taste of Stockholm, six wonderful days of food and music in the downtown park Kungsträdgården. Last year it attracted 350,000 people. About 30 of the city’s best restaurants set up outdoor stalls to serve everything from traditional Swedish dishes to exotic creations from other parts of the world. What better place to sample Gruyère cheese than in the little medieval village of Gruyères, northeast of Lake Geneva in Switzerland. And what better time than at the annual Gruyère Festival? 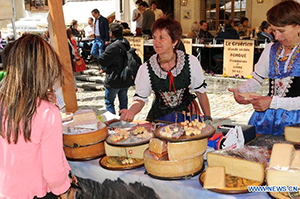 This one-day festival hosts demonstrations of the traditional preparation of cheese with Swiss and other European cheese makers, amid the fanfare of Alpine horns, music and flag throwing. There are cheese demonstrations and regional handcrafts for sale. Ticino, the Italian-speaking region of Switzerland, celebrates its grape harvest every year with a huge street food fair in Lugano. In addition to performers and street musicians offering traditional entertainment, you’ll also find stalls offering roast pork, risotto, gnocchi, polenta, minestrone and other Ticinese specialties. And, of course, plenty of vino. Delizioso! I heartily concur, food is indeed the universal language an sharing it with a bunch of strangers makes it even a more memorable and fun experience. I am looking forward to attend at least one food festival this year.